The Turkish daily Meydan has uncovered a network based out of Istanbul, recruiting and facilitating the transport of fighters from China’s autonomous Turkic Uighur Xinjiang region to Syria and Iraq. The network is based out of Zeytinburnu, a district on Istanbul's European side which is home to a community of Uighurs who live in Turkey. It is headed by Nurali T, a businessman who has been facilitating the movement of Uighurs from China to Syria and Iraq via Turkey since 2011. He is known by his code name Abbas. 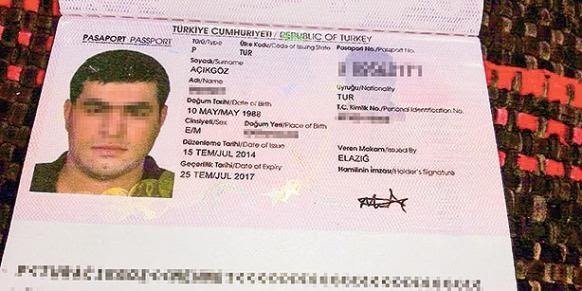 An individual who works for him, AG, says that a total of 100,000 fake Turkish passports have been produced, 50,000 of which have been shipped to China to be handed to fighters recruited to join the Islamic State of Iraq and the Levant (ISIL). 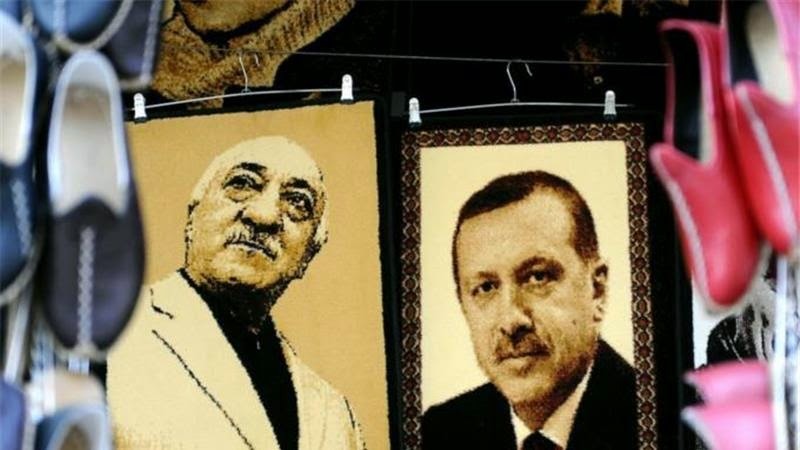 Uighurs who were forced to seek refuge due to the Chinese government's religious, cultural and language restrictions as well as ethnic discrimination policy faced a smear campaign by several Turkish media outlets that are associated with the Gülen Movement. In efforts to harm Turkey and the ruling Justice and Development Party (AK Party) government, fabricated Gülenist media reports claimed that the Islamic State of Iraq and al-Sham (ISIS) was given more than 100,000 fake Turkish passports under the government's authorization and these passports were used by Uighurs escaping to Turkey to enter Syria and join ISIS. China will build a pipeline to bring natural gas from Iran to Pakistan to help address Pakistan’s acute energy shortage, under a deal to be signed during the Chinese president’s visit to Islamabad this month, Pakistani officials said. The arrival of President Xi Jinping is expected to showcase China’s commitment to infrastructure development in ally Pakistan, at a time when few other countries are willing to make major investments in the cash-strapped, terrorism-plagued country. The pipeline would amount to an early benefit for both Pakistan and Iran from the framework agreement reached earlier this month between Tehran and the U.S. and other world powers to prevent Iran from developing nuclear weapons. The U.S. had previously threatened Pakistan with sanctions if it went ahead with the project. Pakistan's parliament voted on Friday not to join the Saudi-led military intervention in Yemen, dashing Riyadh's hopes for powerful support from outside of the region in its fight to halt Iranian-allied Houthi rebels. Saudi Arabia had asked fellow Sunni-majority Pakistan to provide ships, aircraft and troops for the campaign, now in its third week, to stem the influence of Shi'ite Iran in what appears to be proxy war between the Gulf's two dominant powers. While Saudi Arabia has the support of its Sunni Gulf Arab neighbors, Pakistan's parliament voted against becoming militarily involved. 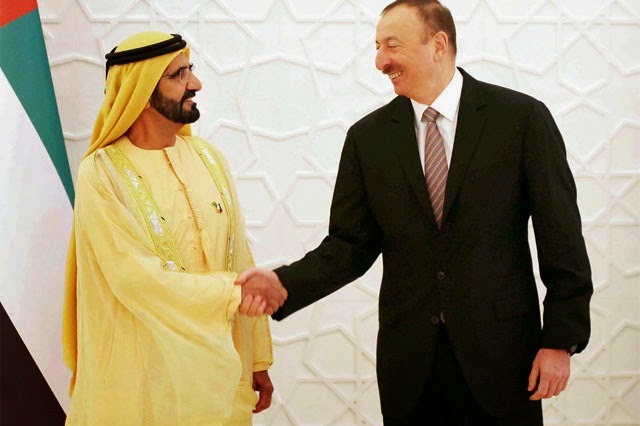 Sheikh Mohammed bin Rashid, Vice President of the UAE and Ruler of Dubai, on Thursday held talks with Azerbaijan’s president during a two-day visit that resulted in bilateral economic and emergency readiness agreements. Sheikh Mohammed and president Ilham Aliyev discussed ways to strengthen cooperation with Azerbaijan, state news agency Wam said. Mr Aliyev voiced confidence in the results of the bilateral exchange, particularly in investment. Also on Thursday, the Dubai Chamber of Commerce and Industry issued a study on investment opportunities with Azerbaijan, Wam said. Saudi King Salman bin Abdulaziz al-Saud met with Azerbaijan’s President Ilham Aliyev in the royal palace at the capital Riyadh on Sunday, the state-run Saudi Press Agency (SPA) reported. The president’s visit signals the GCC’s intention of strengthening ties with central Asia states, especially Azerbaijan, according to Mohamad Al Salami, a Riyadh-based researcher on Iranian affairs. “By strengthening economic, cultural, and political ties with central Asian states, which border Iran, GCC states would force Iran to reassess its political stance on issues in the area,” Al Salami told Al Arabiya News Channel. Azerbaijan and the United States will agree on the issues of bilateral cooperation in the defense sector, the message of the defense ministry of Azerbaijan said Apr.8. Azerbaijan has denied reports from the Armenian side that the country has Turkish soldiers fighting on its side on the contact line between Azerbaijani and Armenian troops. The battles along the line of contact between Azerbaijani and Armenian troops involve only Azerbaijani servicemen, who are fit with the most modern weaponry and equipment, Azerbaijan’s Defense Ministry told Trend Apr. 7. The ministry was commenting on a recent report spread by Armenian media about an alleged involvement of the Turkish servicemen in the battles along the line of contact as part of the armed forces of Azerbaijan. The Prime Minister of Armenia, Hovik Abrahamyan, on Thursday received members of the famous American Armenian Kardashian family (photo). 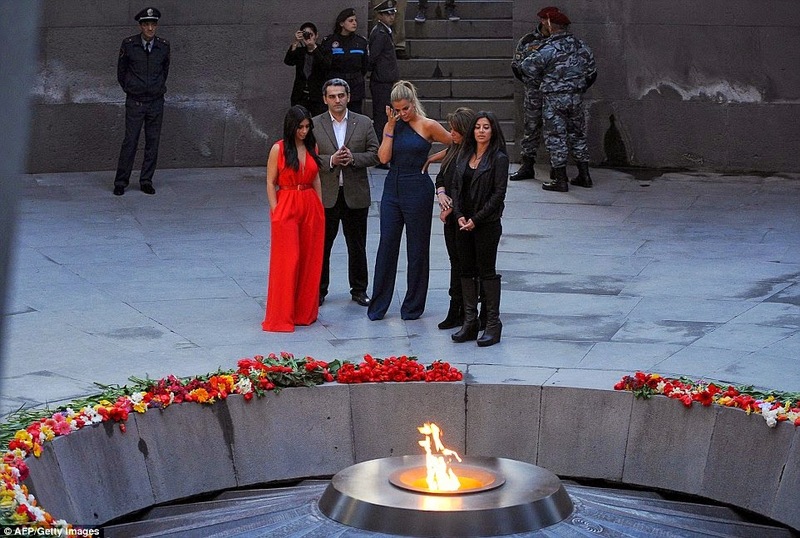 The PM underscored the Kardashian’s contribution to the international recognition and condemnation of the Armenian Genocide, and their visit to Armenia ahead of the Genocide Centennial. Abrahamyan stressed the fact that the Kardashian family, just like the other Armenians worldwide, do not forget their roots, and they make Armenia more recognizable by visiting their historical homeland. Five leaders of an Armenian opposition group have been sent to pretrial detention. A spokeswoman for Armenia's Investigative Committee, Sona Truzian, told RFE/RL on April 10 that the five leaders of the Constituent Parliament group had been sent to pretrial detention for two months. The Constituent Parliament had announced plans to organize antigovernment protests during events on April 24, marking the 100th anniversary of what Armenia considers genocide at the hands of Ottoman Turks.